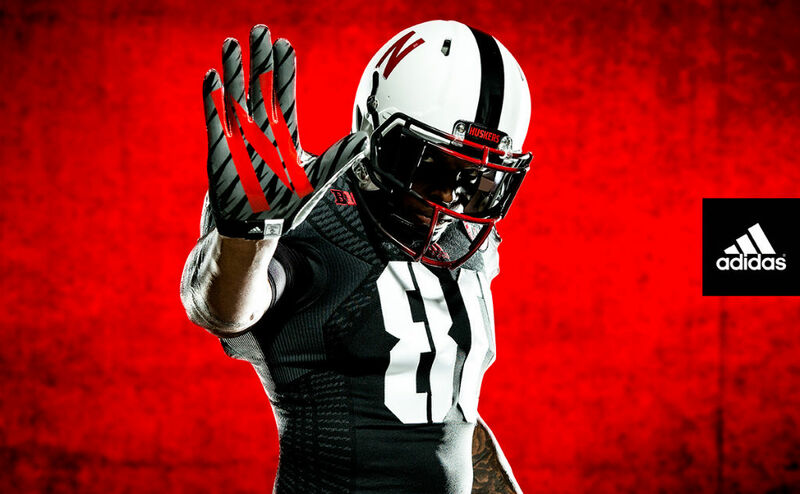 Nebraska will debut new uniform in September's 'Unrivaled Game' against UCLA. When the Nebraska Cornhuskers play the UCLA Bruins in the annual 'Unrivaled Game' at Memorial Stadium on September 14, they'll debut this brand new alternate TECHFIT football uniform by adidas. The new adidas TECHFIT black jersey features white stencil font numbers and a unique pattern throughout. The Cornhuskers’ helmet is matte white with a wide black stripe, stencil numbers and a face mask that fades from red to matte black. 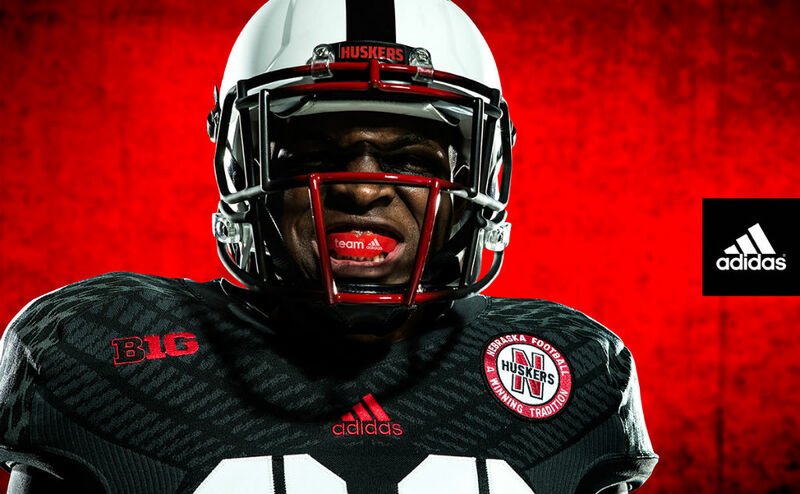 Nebraska’s famous straight red “N” featured on its helmets for decades remains unchanged. The TECHFIT baselayer has an N in the design while the pants are white with black stripes and feature the straight red “N” on the front left hip. Cornhuskers players will wear the adidas Team Speed Vertical socks and Crazyquick Mid cleats. Nebraska’s new uniform marks the introduction of adidas’ TECHFIT ShockWeb technology, designed to keep players fast, cool and mobile onfield. adidas ShockWeb features engineered body mapping, which maximizes compression zones across the chest and sides, in a lightweight knit structure that provides a tight fit with enhanced range of motion. Integrated CLIMACOOL mesh zones create airflow to keep players cool in every temperature. 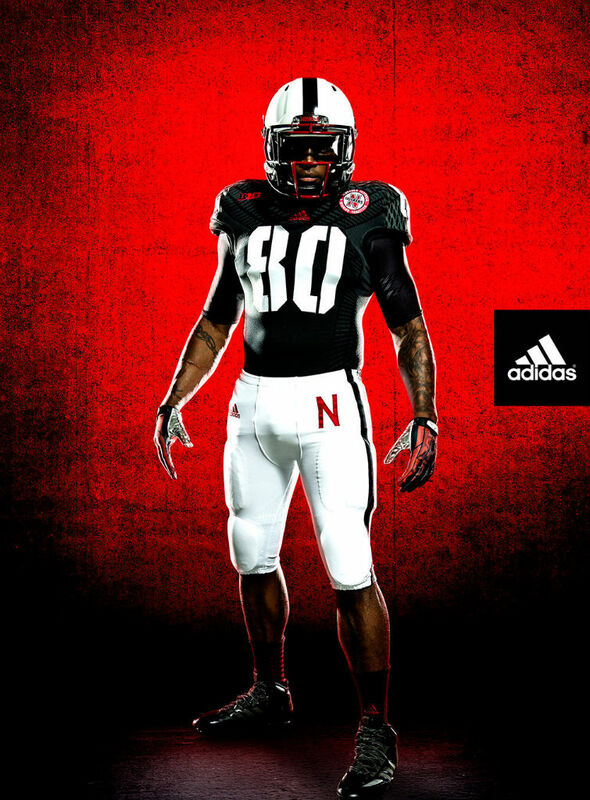 Nebraska fans can visit facebook.com/adidasFootballUS for more on the Cornhuskers’ new TECHFIT uniforms.